The Philippines is an archipelago of 7,107 islands with a total land area, including inland bodies of water, of about 300,000 square kilometers (120,000 square miles). Its coastline is approximately 36,289 kilometers (22,549 miles) long which makes the country with the 5th longest coastline in the world. And along the Philippine coastline are endless shores of powdery white sand beaches surrounded by crystal clear turquoise water with strong waves big enough for surfing and skimming. 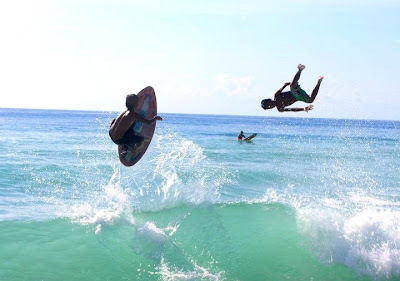 Skimboarding, also known as skimming or skiffle boarding on the beach has gained much popularity among Filipinos having brought to the Philippines by an American tourist named Tim Garret who visited Tanauan, Leyte, a province in the Eastern Visayas region, to court a young local. 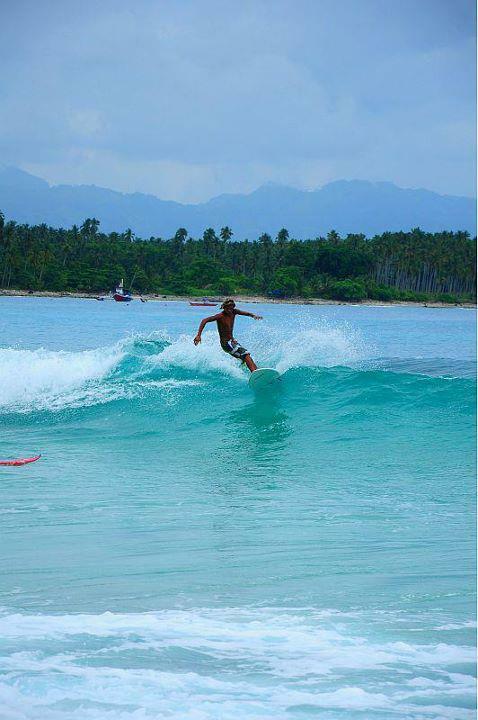 While in Leyte, he went skimboarding at the beach in his free time which eventually caught the attention of the locals. In no time, almost every beach aficionados were now into skimboarding and, in view thereof, Leyte has earned the title of Skimboarding Capital of the Philippines. Since then, other provinces where there are beaches followed suit: Davao City, the Island Garden City of Samal, Davao Oriental, Sarangani, Surigao del Norte, Surigao del Sur, and Bicol. Some of them have hosted skimboarding competitions. Today, this extreme water sport is already popular in the United States, Canada, Australia, Spain, China, Malaysia, Japan, and Singapore. And because the Philippines is widely known for its magnificent beaches, many tourists have come to the Philippines and found the shores of Dahican Beach - a popular skimboarding and surfing destination in the City of Mati, Davao Oriental - at the southeastern most part of Mindanao with its stunning seven kilometers of white sand beach and big waves facing the Pacific Ocean. The coast in Dahican is very clean, and surfers and skimboarders are a common sight at the beach. 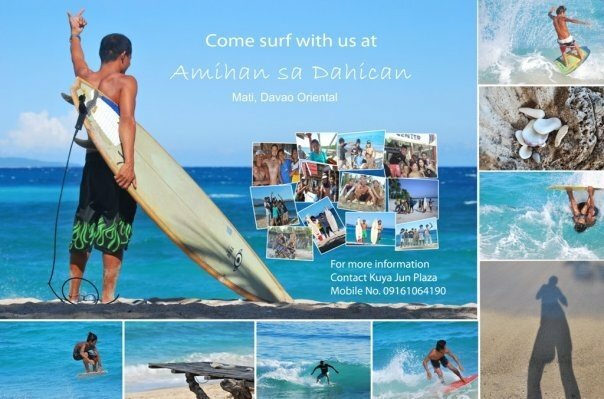 It is home to the famous Amihan Boys of Dahican - a group of young homegrown skimboarders and talented surfers led by George "Kuya Jun" Plaza, a native of Dahican. 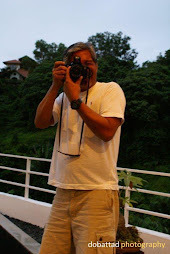 One day in 2002, Kuya Jun saw several Davao City skimboarders surfing the beach. Amazed at how their simple wooden boards carried the surfers atop the three-metre waves, he built a plywood skimboard and began practising. The visitors gave one of their boards to the local boys, and Jun borrowed it regularly to perfect his skills. Despite suffering from a badly twisted wrist which he sustained in the course of practising his newly found watersport, Kuya Jun stubbornly refused to give up and further honed his surfing skills. Since some local boys were also having fun in the waves, Kuya Jun gathered them and helped develop their skimboarding skills. Because of their talent and skill, the group of Kuya Jun gained popularity in Dahican and, at one time, seeing their plight, a Japanese tourist donated five surf boards worth over P50,000 each. In 2004, Kuya Jun founded his now famous Amihan sa Dahican Skim and Surf Team and whenever opportunity presented itself, the Team competed vigorously in the beginners and expert categories and almost always emerged victorious against the best skimboarders from General Santos City in South Cotabato, Davao City, and Surigao del Norte, and contenders even as far as Leyte and Zambles - a province in central Luzon. He named the Team after the word "Amihan" which refers to "a cold wintry breeze" that dominates the season in Mati beginning sometime in September or October and ends sometime in May or June, during which the waves for surfing and skimming are at its peak. Although the waves and currents can be strong and treacherous during the monsoon months, Dahican Beach is still a perfect spot for skimboarding. Over time, the Team's string of winnings in regional competitions gained for them much popularity in the growing skimboarding community and reputation of being one of the best in the country today. They have found their way to the front pages of local dailies and Kuya Jun was even featured in the Everyday Heroes section of Readers Digest Asia, October 2010 issue. 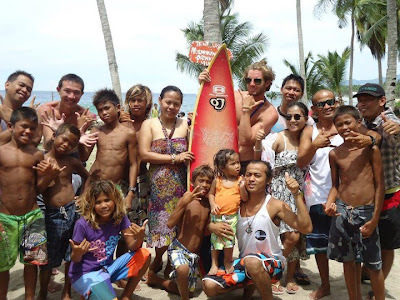 Despite the Team's achievements and strong support from the local government and popularity among the surfing community, they remained humble - a trait that Kuya Jun has strongly imbued in each member of the Team. He acts as a father to them, most of whom are sons of fisher folks in the village. 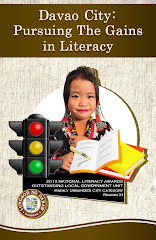 Ranging from ages nine to 16, in the elementary and high-school, the Amihan Boys learned from their mentor discipline and good manners as a way of life, away from such vices as drugs, smoking, and drinking. Anyone breaking the rules is either barred from practice or kicked out of the team. As early as 5 AM, they usually start the day by cleaning the beach and do other chores as cooking and cleaning the dishes. Skimboard and surf lessons are held after school and on weekends. A hectare of Dahican waters was recently declared a marine sanctuary by the local government of Mati because of their efforts in maintaining the cleanliness of the beach. Kuya Jun has also built a surf shack made out of bamboo and nipa, some driftwood and spare plywood from their hand built skimboards and called it the Tourist Assistance Center. Here, they assist and act as guide to tourists and provide free skimboarding lessons and sponsor surfing clinics, hand build surf boards and sell them to fund the Team's travel and equipment costs. Kuya Jun and the Amihan Boys of Dahican have indeed become role models to the youth of the City, spearheading several surfing tournaments and promoting not only good behavior and sportsmanship, but the city's tourism industry as well. While there are other resorts along the Dahican coast such as the Botona Beach Resort, Kubo sa Dahican, and Kanakbai, there are no accommodations for overnight stay at the beach, nor restaurants or convenience stores nearby and bringing of food and drinking water for the entire duration of the stay is encouraged. However, pitching of tents is allowed for a small fee and a hammock may also be rented. The surf shack's kitchen may be used for cooking and does not carry any charge. However, bringing of own supplies such as charcoal and the like is also encouraged. Entrance to the beach is FREE and it is open to anyone. Visitors may need not bring their own boards, since there are skimboards and surfboards available at the site.